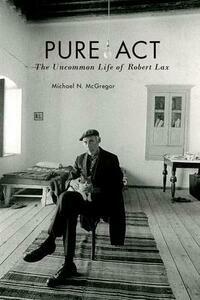 Excellence in Publishing Award, Association of Catholic Publishers Honorable Mention, Catholic Press Association Book Award Finalist, Washington State Book Award Pure Act tells the story of poet Robert Lax, whose quest to live a true life as both an artist and a spiritual seeker inspired Thomas Merton, Jack Kerouac, William Maxwell and a host of other writers, artists and ordinary people. Known in the U.S. primarily as Merton's best friend and in Europe as a daringly original avant-garde poet, Lax left behind a promising New York writing career to travel with a circus, live among immigrants in post-war Marseilles and settle on a series of remote Greek islands where he learned and recorded the simple wisdom of the local people. Born a Jew, he became a Catholic and found the authentic community he sought in Greek Orthodox fishermen and sponge divers. In his early life, as he alternated working at The New Yorker, writing screenplays in Hollywood and editing a Paris literary journal with studying philosophy, serving the poor in Harlem and living in a sanctuary high in the French Alps, Lax pursued an approach to life he called pure act-a way of living in the moment that was both spontaneous and practiced, God-inspired and self-chosen. By devoting himself to simplicity, poverty and prayer, he expanded his capacity for peace, joy and love while producing distinctive poetry of such stark beauty critics called him "one of America's greatest experimental poets" and "one of the new `saints' of the avant-garde." 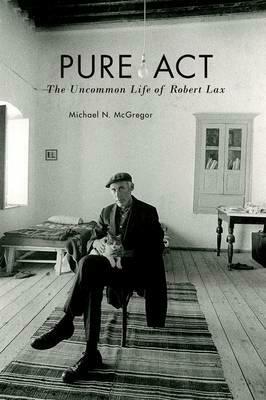 Written by a writer who met Lax in Greece when he was a young seeker himself and visited him regularly over fifteen years, Pure Act is an intimate look at an extraordinary but little-known life. Much more than just a biography, it's a tale of adventure, an exploration of friendship, an anthology of wisdom, and a testament to the liberating power of living an uncommon life.